ABCDchicago: HOLI - Indoor Color Party! 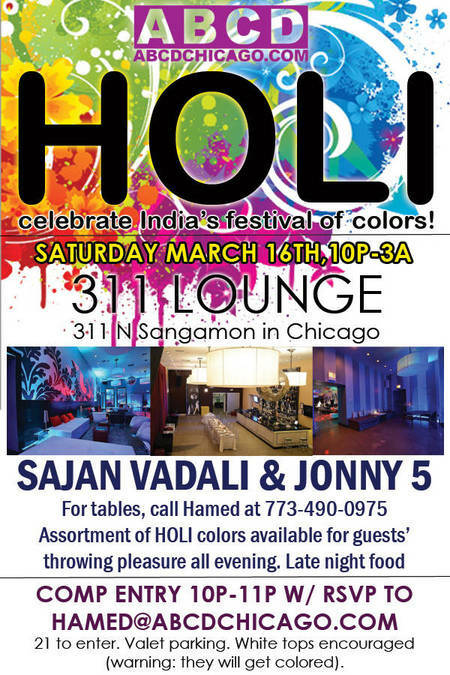 HOLI - Indoor Color Party! Guests can throw HOLI colors at each other all evening...inside! COMP ENTRY 10P-11P W/ RSVP TO Hamed@ABCDchicago.com. LIST CLOSES AT 6P. 21 to enter. Valet parking. White tops encouraged (warning: they will get colored).